In episode 4 of The Follow Me Show: "How Social Media Helps Real Estate Agents' Credibility", we break down what role your online presence will play in the industry with both prospective clients and other real estate professionals, and how to rethink the purpose and implementation of open house event, listings, and cold calling. Celebrity and credibility make for a powerful combination to incorporate in your Niche Branding strategy. Social Realtors that know how to create their own celebrity have a HUGE advantage during the client acquisition, or "courting" process. Cold calling potential FSBOs and expireds is just plain easier when you are all over Google. Think about it. Who would you as a buyer and or seller want to work with? If you were to google your realtor what would come up? Would you find a ghost town or would you find someone giving off the perception of constant growth & celeberty. In today's insdustry it is imperative to set yourself apart from other realtors, & the way you do that is creating a celeberty for yourself. IT IS HUMAN NATURE TO WANT TO BE AROUND SUCCESSFUL PEOPLE. Make sure you are giving off the perception of SUCCESS. Create your personal website! I suggest using squarespace escpecially if you are a beginner. If your brokerage already provides you with a decent website than skip this step. CONTENT! CONTENT! CONTENT! It's not enough to just have these acounts, one must create daily content to get noticed. Post 5-12 times a day on twitter & 3 times a day on IG. Linkedin is a different animal see THE 10X METRIC for more indepth details on posting. It is very easy to say go ahead and start posting but the question still remains what do I post as a new REALTOR? Well the firt thing you need to do is find your niche. Ask youself what kind of REALTOR am I going to be. Lower Price Point Agent etc..
Once you determine your target market mix it with what you are passionate about. Now posting becomes easy. You can mix real estate with your passion. Post a mix of real estate realeted things with your passion. The next thing you know you will own that space! For a more indepth understanding of marketing, branding & niches check out the articles and books below. Five steps you can use to find your niche. 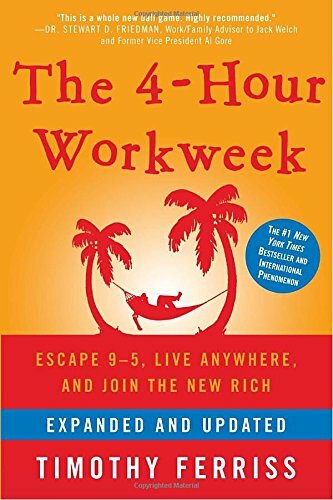 The 4 Hour Work Week. This book expands upon niches & stategies you can use as a modern day realtor.